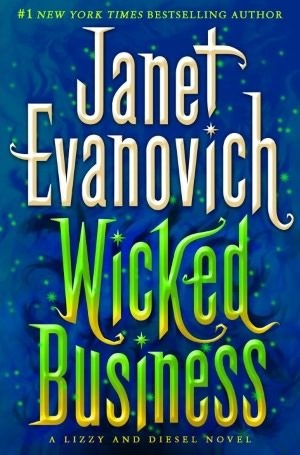 Lizzy Tucker’s once normal life as a pastry chef in Salem, Massachusetts, turns upside down as she battles both sinister forces and an inconvenient attraction to her unnaturally talented but off-limits partner, Diesel. When Harvard University English professor and dyed-in-the-wool romantic Gilbert Reedy is mysteriously murdered and thrown off his fourth-floor balcony, Lizzy and Diesel take up his twenty-year quest for the Luxuria Stone, an ancient relic believed by some to be infused with the power of lust. Following clues contained in a cryptic nineteenth-century book of sonnets, Lizzy and Diesel tear through Boston catacombs, government buildings, and multimillion-dollar residences. On their way they’ll leave behind a trail of robbed graves, public disturbances, and general mayhem. Diesel’s black sheep cousin, Gerwulf Grimoire, also wants the Stone. His motives are far from pure, and what he plans on doing with the treasure, no one knows…but Lizzy Tucker fears she’s in his crosshairs. Never far and always watching, Grimoire has a growing, vested interest in the cupcake-baker-turned-finder-of-lost-things. As does another dangerous and dark opponent in the hunt – a devotee of lawlessness and chaos, known only as Anarchy. Treasures will be sought, and the power of lust will be unmistakable as Lizzy and Diesel attempt to stay ahead of Anarchy, Grimoire, and his medieval minion, Hatchet, in this ancient game of twisted riddles and high-stakes hide-and-seek. Lizzy Tucker has inherited a historic house in Marblehead, Massachusetts, taken a new job as pastry chef for Dazzle’s Bakery in Salem, and set her sights on a comfortable future. The comfortable future and any hope for normalcy evaporates when dark haired, dark hearted Gerewulf Grimoire and his nemesis, a blond beach bum named Diesel, enter Dazzle’s and change Lizzy’s life forever. Diesel is a man with a mission: To stop Grimoire at all costs. In order to do so he’ll need to convince the baker she alone has the ability to keep Grimoire from the stones. Once Lizzy and Diesel become a team, Diesel will have to guard Lizzy’s body…day and night.